It's a good chance you are likely to see Spiderman, Batman and a collection of other Superheroes on the streets of downtown Tampa today. 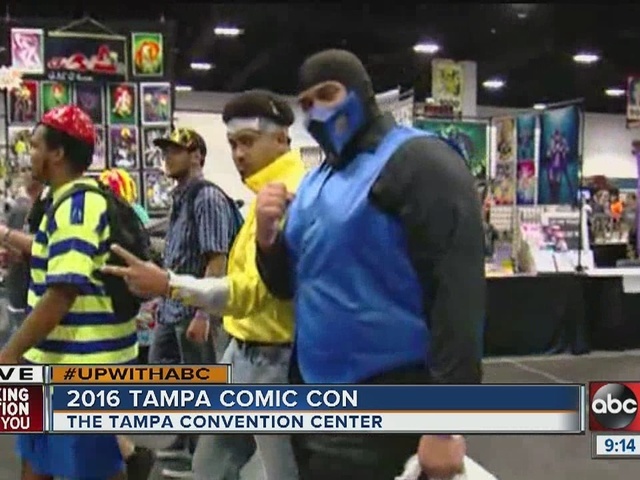 Tampa Comic Con is in full swing, and the masses that support the annual event are in full regalia at the Tampa Convention Center on South Franklin Street. People dressed in a menagerie of costumes is only part of the festivities. It's a venue for celebrity watchers, Pokemon Go enthusiasts, vendor, writers and everything nerdy.